Sometimes you just need to get a meal on the table that's nutritious, delicious and brings you right back to childhood. When that's the case, meatloaf fills the bill more often than not. Although you can get fancy with meatloaf and customize it any way that suits your mood, sometimes it's best when you leave it as is, just like your mom used to make. That's what you'll get in the recipe below. This meatloaf might not be fancy, but it is one of the most comforting meals on the planet. Part of the reason might be because it's nothing fancy. It takes just tender and moist beef, a few seasonings and enough zesty tomato sauce to pull everything together. It's down-home comfort food at its finest. Preheat oven to 350 degrees F and grease a 9-inch loaf pan. Place the bread crumbs in a small bowl and pour milk over them. Stir and allow the bread crumbs to absorb the milk for a couple of minutes. Combine the beef, pork, bread crumb mixture, egg, onion powder, salt and pepper in a large bowl. Form the meat into a loaf and place it in the loaf pan. Don't press the meat down or into the corners, as this can make the meatloaf tough. 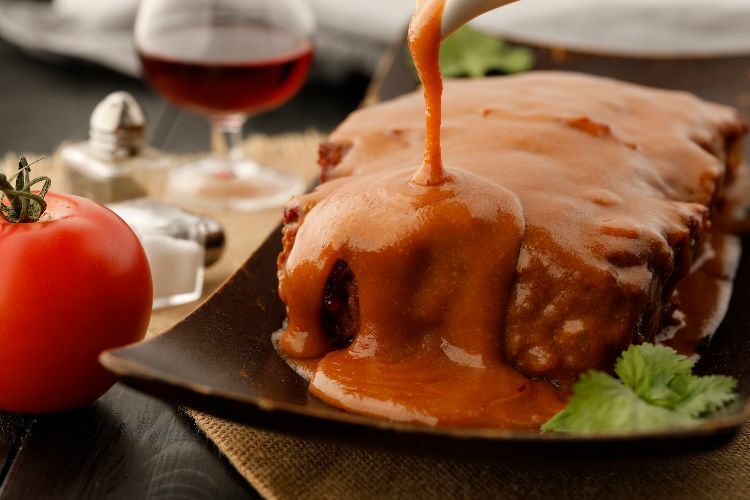 Combine the tomato sauce, brown sugar, Dijon mustard and balsamic vinegar and pour over the meatloaf. Place the meatloaf into the oven and bake for 1 hour and 15 minutes. 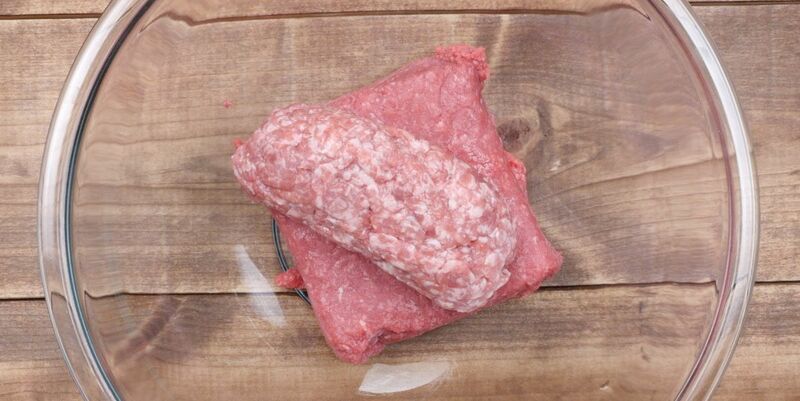 Remove from oven and allow meatloaf to sit for 15 minutes before slicing and serving.